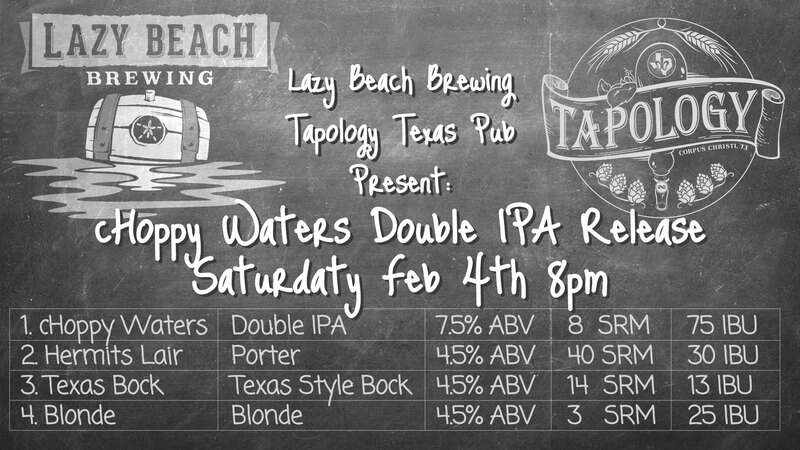 Join Lazy Beach Brewing this Saturday Feb. 4th at Tapology Texas Pub to release our cHoppy Waters Double IPA. In addition to cHoppy Waters we will also have Hermits Lair, Texas Bock and Blonde available. Two of our brewers will be on site to chat about the beers, and our general love of all things fermented. p.s. The Lazy Beach Brewing taproom will still be open this Saturday as well.